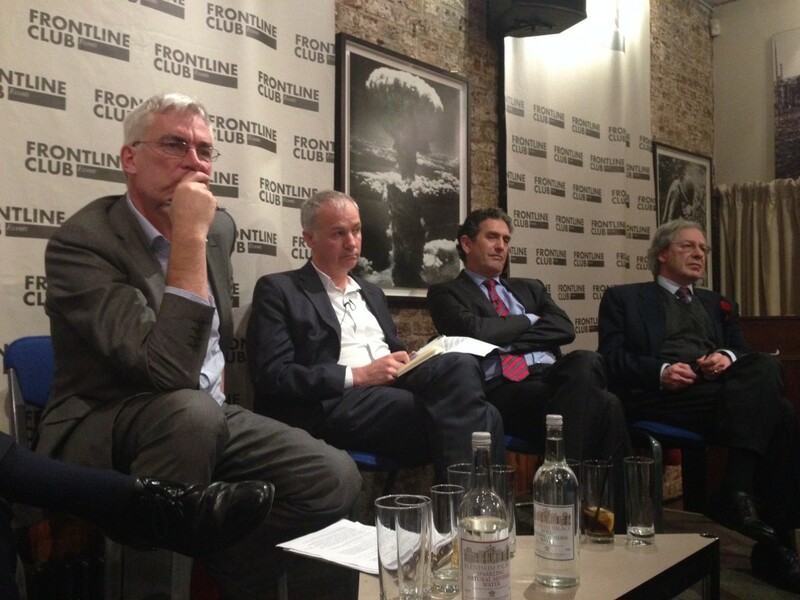 Following the latest revelations from whistleblower Edward Snowden, the Frontline Club’s First Wednesday panel on 6 November gathered to discuss Has NSA spying “reached too far”? Chair Owen Bennett-Jones, a freelance journalist and a host of Newshour on the BBC World Service started off by asking if anyone really knows how much data has been collected? An audience member asked if “the threats justify the methods”? The panel were asked if the release of these documents has changed anything – has damage been done? After all this effort, disruption and political chaos, what were the benefits of the NSA gathering all the information? “Knowing who’s in touch with who can be as – if not more important than – knowing what they’re saying to each other. This is a business that the bad guys are trying to hide the fact that they’re in communication.